Here at 888sport, we're football fanatics and inside our betting hub you'll find all manner of odds, aids and insights on everything the game has to offer. Through our network of industry experts and statistical savants, football betting on 888sport is a constant stream of information, numbers and stories from around the world. Whether you're a fan of Premier League betting via your desktop, checking the latest Europa League odds via our mobile sports betting app or keeping an eye on your inbox for the latest free bets, the 888sport betting hub has everything you'll need to make the beautiful game even more attractive. 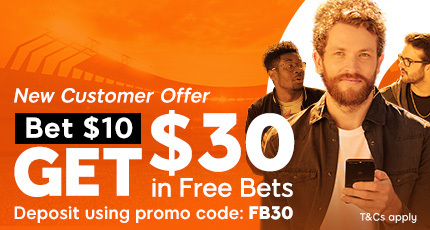 The only thing better than free flowing football is free flowing betting. 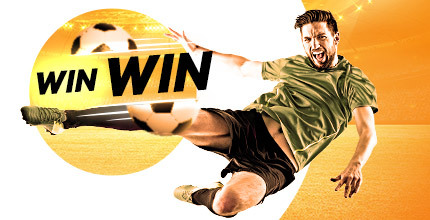 Having the ability to ante-up in the moment is fantastic and inside the 888sport football betting hub you'll find a myriad of in-play betting markets. Accessible via your desktop or mobile device, our in-play football bets are updated in real-time and will give you the power to speculate on anything from the next player to score to the full-time result. Every 888sport account holder can head over to their native app store (iOS and Android) and download our sport betting app to get 24/7 access to the latest football odds. Aside from being highly secure, the 888sport betting app offers a series of touch and play menus so you can tap, bet and bank with ease. Here at 888sport we've created a unique bet calculator that will give you the power to run through a plethora of permutations before you ante-up. Taking into account our leading football odds, your stake and any other necessary data, the 888sport bet calculator will tell you exactly how profitable your gamble will be. Everyone likes a little something for nothing and, while we aren't in the business of giving something away completely free, we do offer a plethora of promotions throughout the season. Changing on a weekly basis, we work had to give you the best football betting specials around. Whether it's enhanced odds on Manchester City or money back if Chelsea lose, we'll give you plenty of ways to earn some free football bets throughout the year. To complete our total football package, we've wrapped up everything in a shiny bow made up of free football betting tips. Using a network of expert tipsters, our platform will give you all the information you need to make your bankroll as beautiful as the game itself. Indeed, whether you're looking for tips on the latest Premier League clash, which players are injured and the latest managerial sacking, we've got it all inside our betting hub. And it's free!